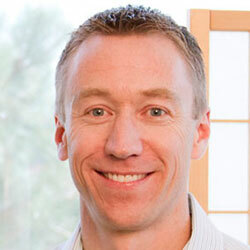 Dr. Ryan Sill grew up in Albuquerque, New Mexico attending Manzano High School and New Mexico State University. He obtained a degree in Mechanical Engineering and worked for six years in the field before deciding dentistry was his true passion. Dr. Sill attended Oregon Health and Science University for dental school and was selected by his peers for the Outstanding General Dentist award given by the Academy of General Dentistry. Dr. Sill continued his education at the University of New Mexico, completing an Advanced Education in General Dentistry residency. During his residency Dr. Sill was trained in both IV and Oral Moderate Sedation, implant placement, extraction of third molars (wisdom teeth), endodontics (root canal therapy), hospital dentistry, and pediatric dentistry. After residency, Dr. Sill also completed the AAID Las Vegas Maxicourse with over 300 hours of additional training in Implant Dentistry. Dr. Sill is a faculty club member at Spear Education and is active in three local study clubs for Invisalign, Implants, and CEREC restorations. He also maintains memberships in the ADSA, ADA and is a certified Invisalign provider. Dr. Sill is married and has two small children. In his free time he enjoys spending time with his family and friends, playing soccer, and helping with the youth at their church.